When I was in art school, there was a professor who taught a photo class that I believe was called Start to Finish. The point of the class was to start with an idea and see it through to completion, no matter how difficult things got. You had to find a way to make work out of what you had to work with. While I never took the class, the idea stuck with me. And now, in “real working life,” I see how valuable this concept is. Basically all of my assignments are start to finish. 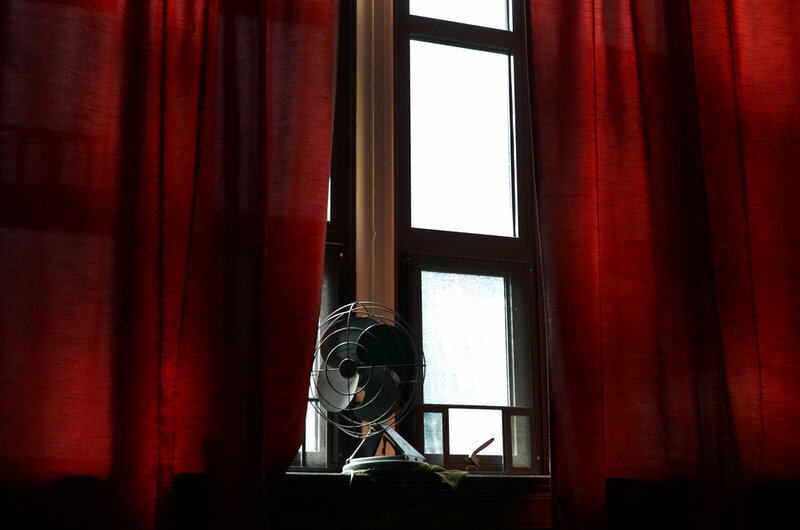 So, with that in mind, I’ve begun a new photo documentary—a long term exploration. We will see what things shape up to be over the next year, no matter what obstacles may happen along the way. 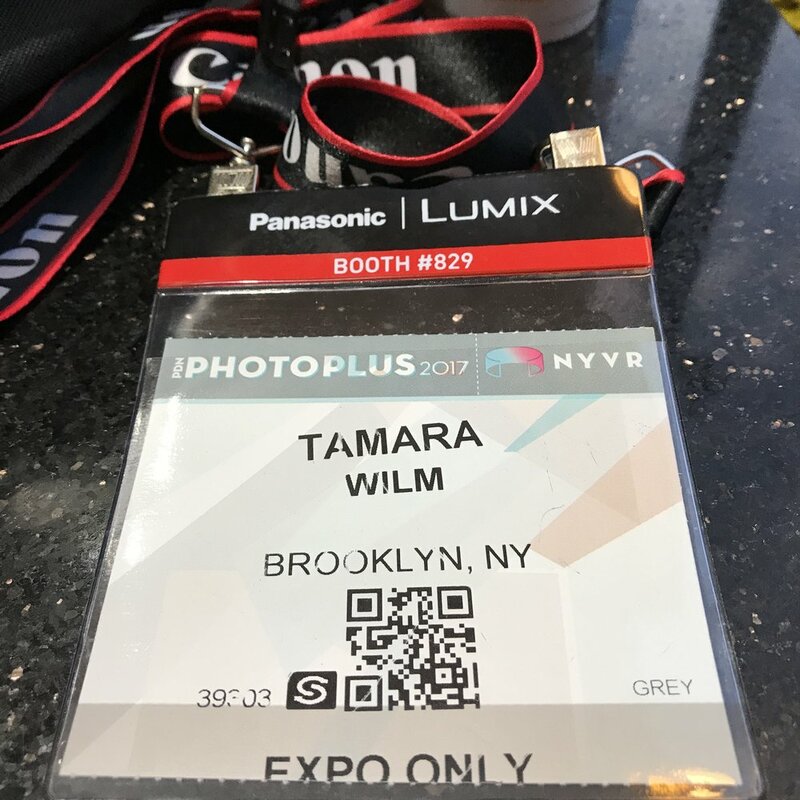 Like everyone else in the retail side of the photo world, I just spent the last few days at the PhotoPlus Expo at the Javits Center here in New York. It was big, busy, and a great time to reconnect with old and new contacts in the industry. In fact, I nearly lost my voice from talking to so many people. Since I became a technical writer--more than a decade ago now--this has always been the one event I make time for no matter what. The tech is cool, and essential to keep up on, but for me, the show is more about getting out there and showing my peers that I appreciate what they do, and that I appreciate them. In a world where it's so easy to communicate entirely by email, I value those face to face interactions. The photo industry is a really exciting place, filled with a lot of great people. Why wouldn't I want to go? Anyone who writes for a living knows what The Visual Thesaurus is--it's that magical wonderland of words, glorious words. Whenever I feel that I've used an adjective, or any other word for that matter, too many times I plunk it into the good of VT, and instantly a beautiful interactive map of alternatives appears on my screen. I suppose I could use a paper thesaurus, but it wouldn't be quite so satisfying (I'll admit that sometimes I still do use one), nor would it produce so many options on demand. I've used the site for years as a professional tool, and I'll be a diehard member for life (can I get a discount for that?). I had to renew my membership today, and it reminded just how much I love the site. It's how I keep my writing fresh, while at the same time expanding my vocabulary. Subscriptions are reasonably priced, especially when you consider the value you're getting. If you have never used it, go and check it out right now! I can't be responsible if you fall down a rabbit hole of word searches, however. Friends like to ask me how (or why) I became a technical writer. And that's a valid question. When I was in college I remember seeing a technical writing course in the offerings, and wondering who would want to do that. It sounded so boring. As the fates would have it, my first job out of college...Jr. Technical Writer. I quickly learned that the job was dynamic; it was more like working in a daily newsroom, in fact. Far more exciting than anything I had imagined. I also learned what other technical writers already knew: it was a good way to make a living, especially during the great recession. Where my friends were struggling to find freelance gigs photo assisting, I was working every day. So the how. If you've read my bio you know that I went to school for photography and writing. I had written little stories and poems since I was old enough to form words on paper, and part of me always knew that I would be a writer. Yet, in school I felt photography would come first and the writing would support that work. What I hadn't quite appreciated was that I was becoming an expert in a niche technical field that I could also write about. That field was photography. I was hired at B&H Photo right after graduation to write for their growing website. It turned out that I had the perfect combination of skills. Over the next eight plus years my knowledge of the photo world grew, as did my writing and editing chops. I moved up in the Web Department and held multiple publishing positions--each was an invaluable learning experience. Every day on the job was training in this thing called technical writing, including all its moving parts: research, contacting the people with the answers to my questions, keeping up on the industry, working with people, and of course, the actual writing and editing. Now that I'm on my own I can see the benefits of this "training" even more clearly. I spent nearly a decade becoming the writer and editor I am today. While technical writing wasn't perhaps what I saw myself doing when I was in my early 20s, it turned out to be an awesome career that both kept me in the photo world and opened countless doors. When I left my safe office job two years ago, I was excited and terrified at the same time. But I was ready. No matter which way I looked at it, I knew it was time to go out on my own. I haven't regretted it one bit. It hasn't always been easy, and being your own boss presents it own set of challenges, but it was definitely where my heart wanted me to be. Leaving the world of cubicle-land was one of those moments when I just knew. Everything in me said "go! ", and so I bent to the universe and did it. Running my own business as a freelance writer and editor has come together for me in a somewhat beautiful way. All the pieces fit into place, the right people said yes, and the work began. Every day I learn more, and every day I feel grateful for having made this choice. If you're on the fence about working for yourself as a writer, or otherwise, feel free to ask me your questions. I can't guarantee completely smooth sailing, but I can attest to the fact that if that's where you want to be, then it's worth it. Thoughts about working for yourself, writing, art, and the photo industry.